This is a video of gamer Cosmik setting a new Super Mario Bros. speedrun record and the first time under 4:56.00, with a 4:55.913 (all played on an original Nintendo with original controller). Cosmik says it's the first run he's ever gotten past level 1-2 with a pace that could even potentially beat the record, and took it all the way to the end. Man, those must have been some sweaty hands. Like, the kind of hand you regret shaking afterwards and wonder why the person ever bothered offering it to you in the first place instead of saying they just went to the bathroom and accidentally pissed all over it like a normal person you never know when to take seriously. Keep going for the video, and you can read Cosmik's answers to some commonly asked questions about the run on the video's Youtube page HERE (click 'show more'). Thanks to hairless, who agrees Fred Savage could totally have that record if he wanted it. It's amazing that people are still so into these games. Nobody today is playing gta2, let alone in 30 years. Though portal I think has some staying power. It's got to be like a lot of muscle memory and mind energy consumed and expended, like a basketball free-throw or darts or driving a racecar, but in SMB it's got to be basically super accurate and consistent, which is probably why there are some people who can do it blind-folded. Insane. Kudos. Some try to make their work fun, others try to make fun into work. before deciding to get into the hobby. Metroid one summer, but I couldn't do the whole thing at once too well, but I could have pieced together a pretty competitive run if I'd recorded a few of them. 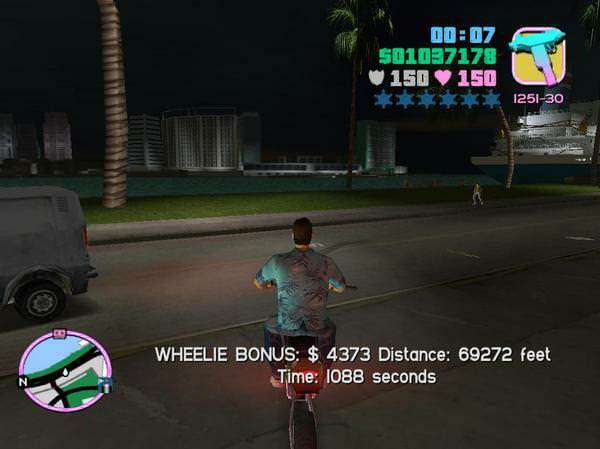 I got really good at wheelie records too. I'm about 70% convinced my personal best isn't an international record but I haven't found any official stats on it. See link for end-of-wheelie screenshot (taken back in probably 2004 or so). That's exactly what I think about speed records. Read More: at my back i always hear time's winged chariot hurrying near, dream and you can achieve, go go go!, mario, oldschool, speedrun, super mario bros, time, trying hard and believing in yourself, video, video games, you can do it!